You are here: Home / Sustainable Living / Gardening / Get Rid Of Wasps Naturally and Practically For Free! If your organic garden has been invaded by wasps, chances are you’re probably wondering how to get rid of wasps naturally. 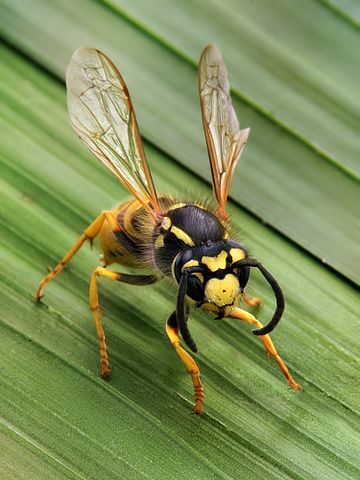 While they make great pollinators, unfortunately, if wasps have decided you’re invading their territory, you might be getting stung – which can put a damper on any fun garden activities very quickly. Similarly, wasp nests are no fun – and they can creep up in the smallest places we wouldn’t expect (we’ve found them in chicken coops – no fun for you OR your chickens, believe me!). 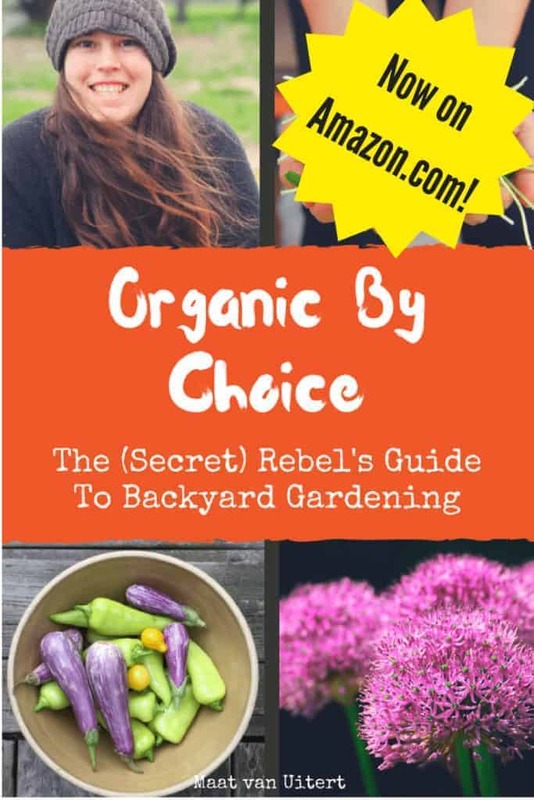 (This article is based off my #1 Amazon Bestselling book, Organic By Choice: The (Secret) Rebel’s Guide To Backyard Gardening. Get your copy here). You CAN go for the stuff you buy at your local big box store – but we personally try to avoid those products, and have gotten rid of them in our house. They’re full of chemicals that neither our children or our animals need to inhale (in fact, for chickens, with the delicate upper respiratory systems, commercial insecticides can cause a lot of damage or even death in your flock). To preserve the effort you’ve put out keeping your backyard organic and your family healthy, you’ll want to get rid of wasps naturally and ALSO stop wasps from coming back so you can enjoy your backyard once again. Luckily, these organic options also happen to be pretty cheap, and you can create an effective natural insecticide for just pennies. If you’re like us, you probably have some soda bottles hanging around your house. To create a trap that’ll get rid of wasps naturally, cut the top 1/3rd of the soda bottle (also be sure to remove any wrap – if the bottle is reflecting light, it’s less attractive to wasps). Leaving the screw cap off, turn the cut piece upside down and place it back inside the remainder of the bottle. Pour apple juice into 1/2 the bottle – wasps will be attracted to the juice and enter the trap, but won’t be able to leave. Eventually, they will get caught in the juice and die. You’ll want to place the trap away from areas of the garden you visit frequently to reduce your chances of crossing paths with a bunch of angry wasps (or worse – you might tip it over, and find yourself surrounded by a swarm with your name on it). Empty the bottle when it’s full of dead wasps, or sooner if it starts to smell (if you’re pregnant and sensitive to smells, this is a “must do” and I suggest having your spouse or partner do it for you). 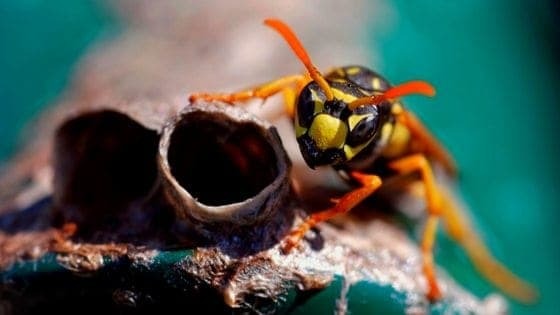 If picking off wasps one by one isn’t for you, then you’ll want to turn to getting rid of the entire nest. Chances are you WON’T get all the wasps quickly with the soda bottle trick – but you CAN get rid of wasps in your backyard by knocking out the entire nest. For this all natural solution, you’ll need pure liquid castile soap (I like this brand) and a hose-end sprayer like this one. Pour the soap into the sprayer until it’s ½ full, and attach to your favorite garden hose. Turn the water on, and wait until you see suds. Spray the wasps nest thoroughly for a couple minutes, depending on the size of the nest. Check to see if any wasps are still flying around – if they are, then keep spraying. Rinse and repeat the following day if some, but not all, are dead. It’s better to use this spray in the early evening as the sun is going down – wasps will be back in their nests and will be subdued by the lack of light. They will then be less likely to sting. While nothing is 100 percent effective to prevent wasps, there are something you can do, and it’s easier than trying to get rid of wasps later on. Wasps are attracted by sweet smells and rotting garbage – so try to keep your trash closed and on lockdown. Don’t just dump it outside and out in the open (this will also cut down on other pests like raccoons, opossums, dogs, etc). If you have an orchard, be sure to pick up any rotting fruit from the ground. If you have room in your garden, you can plant some wasp-repelling plants. Just be aware that these plants might also deter bees, which is no good for an organic garden, since we depend on bees for pollination. You can also try essential oils for these plants (there isn’t one for wormwood that I know of). Simply sprinkle a couple drops of the oil on a rag and hang in your garden. You can also soak cotton balls in the oils. Have you tried to get rid of wasps naturally? Leave a comment below! I have purchased artifical wasps nests, hung them in special areas like the garden shed, under the deck, etc. The wasps avoid these areas as they think there are other wasps already there. This really works.